Already Disturbed Enameled Metal Sign | BUDK.com - Knives & Swords At The Lowest Prices! 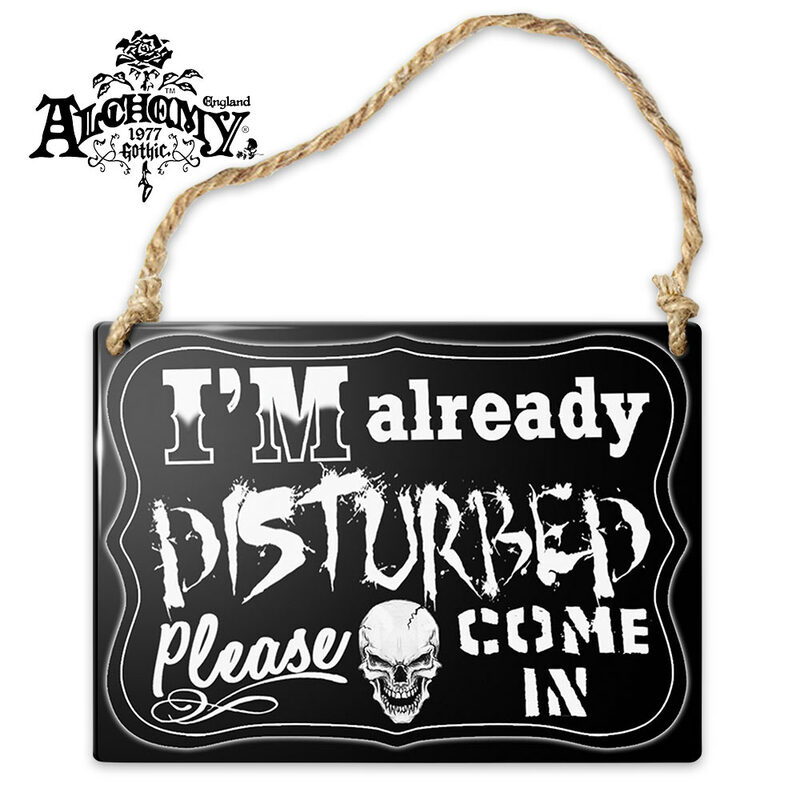 You absolutely need to add this attractive sign to your lair to let your guests know that, “I’m Already Disturbed,” so that there is no doubt about your state of being! The enameled, steel plated sign has original, full-color artwork and is pre-strung so that you can hang it anywhere. The sign is 2 3/5” x 3 1/2”.